The SAIMM Pyro 2011 conference is envisaged as an international conference on pyrometallurgy with a Southern African flavour. 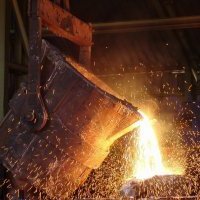 The primary intention is to showcase Southern African pyrometallurgical operations and to provide a forum for the exchange of ideas between people from various types of smelters. A special feature of this conference is the inclusion of a one-day (Monday 7 March) short course on slag models presented by Ken Mills from Imperial College in London. It is planned to incorporate his selection of models into a software package that will be made available to conference delegates. Building on the successful Pyro 2006 conference, papers have been obtained from as many as possible of the Southern African pyrometallurgical plants. These papers include a description and some history of the operations, and include some highlights of current work. These descriptions of plant operations will be published as a reference book that will provide very useful information for metallurgists entering the field. The papers will also be published on the Pyrometallurgy in Southern Africa website where they can be updated as and when required. The conference covers a wide spectrum of activities within the field of pyrometallurgy. Some contributions are also included from universities, research organisations, and engineering companies, so that the full spectrum of pyrometallurgical activities can be covered. International participation is strongly encouraged, with some broad overview papers dealing with international trends to be presented by experts in various topical technologies and commodities. The conference will take place in the 'Cradle of Humankind' world heritage area, about 40 km from Johannesburg. This keeps the conference within easy reach of the city and yet far enough out into the countryside to allow people to focus on the conference. It is also within easy reach of many of the pyrometallurgical plants for those people who would like to participate in post-conference visits. There is a particular significance to the choice of location, in that the Swartkrans area close to the Sterkfontein Caves is the site of the earliest evidence of the deliberate controlled use of fire by humans (about 1.3 million years ago), and this is obviously a necessary precursor to pyrometallurgy. The area also lends itself to a very wide range of outdoor, social, and cultural activities to supplement the technical content of the programme. The conference is planned to run from 6-9 March 2011, with some introductory social activities planned for the Sunday afternoon preceding the three-day conference. Post-conference plant visits will be arranged for those interested. Please include my details on the mailing list for Pyro 2011.